Two weeks after a submission loss to undefeated Khabib Nurmagomedov at UFC 229, Conor Mcgregor took to social media and issued an interesting analysis in a lengthy Instagram post what exactly went wrong in his UFC Lightweight title shot. In his previous Instagram post, Conor McGregor wrote he should listen to himself more and focus on his skill sets. This statement made some to think ‘The Irishman’ was taking an aim at his team and head coach John Kavanagh. Conor’s new product, Proper No.12 whiskey, sets record after record, despite abysmal reviews! The Irishman visited the game between Jacksonville Jaguars and Dallas Cowboys on October 14th, 2018. Conor also hangs out with celebrities. Here’s his photo with Denver Broncos head coach Mike Shanahann. “The Notorious” sticks to the bottle of Proper No.12 whiskey wherever he goes! What a great way to promote a product! 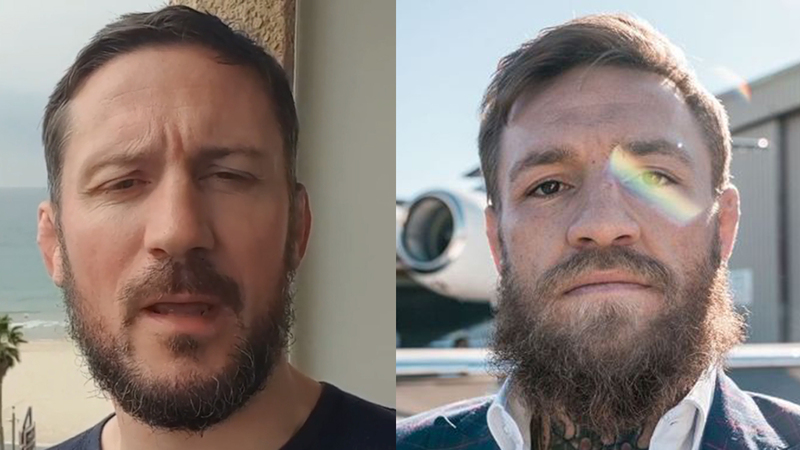 In the meantime, John Kavanagh received a 5 million dollar offer for Conor McGregor’s fight versus a Chinese kickboxer. What are your thoughts on this? Did Conor take an aim at his team and head coach John Kavanagh? Can someone decode his words?